A star is born! 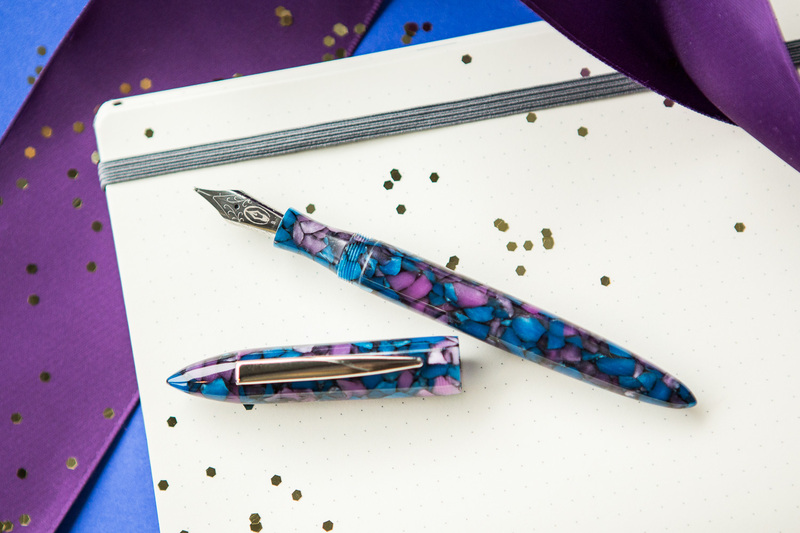 New to the illustrious line of collaborations between the Edison Pen Co. and Goulet Pens, we are pleased to introduce Galaxia, the 21st Edison Nouveau Premiere seasonal edition fountain pen. 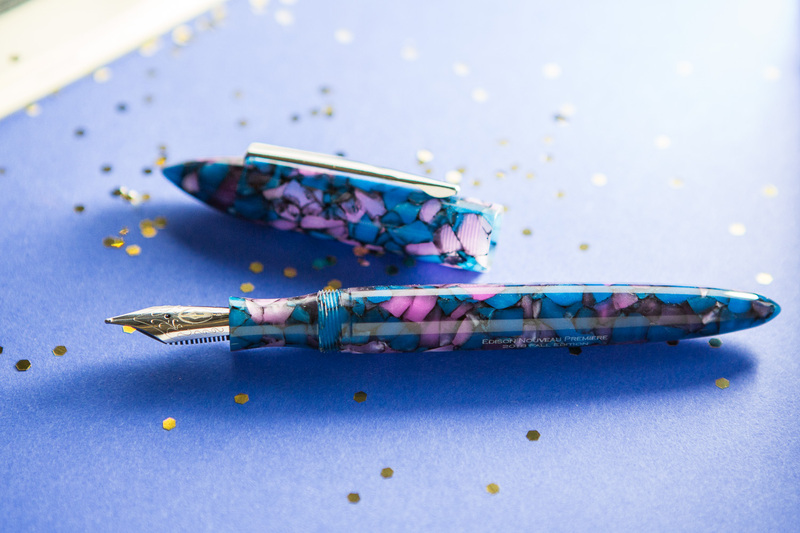 This stunning flecked resin pen is just the sparkle of otherworldly excitement your pen collection needs. 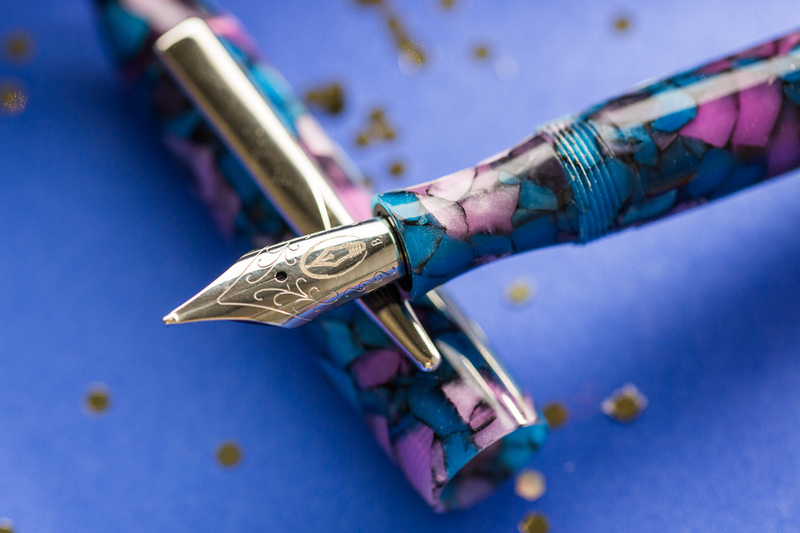 You could travel the length of the cosmos and still never find a pen as gorgeous as this! 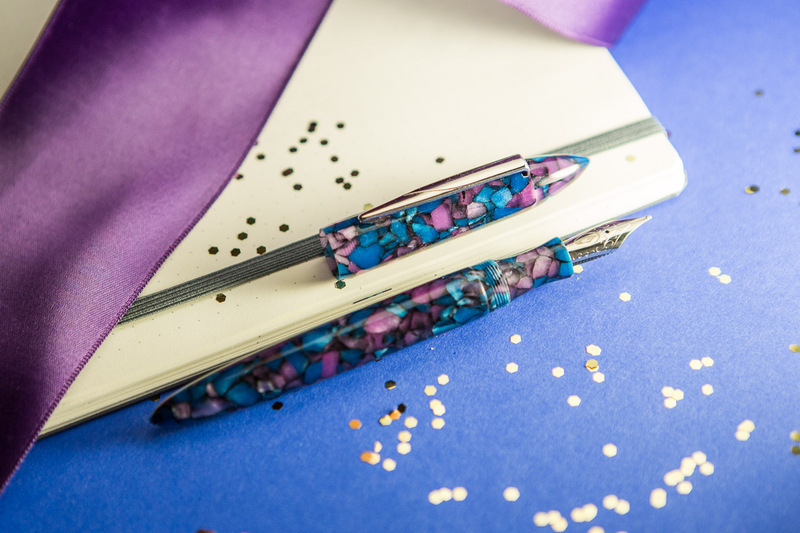 This stellar pen is a true gem bespeckled with blue and purple flakes and accented with silver furnishings. 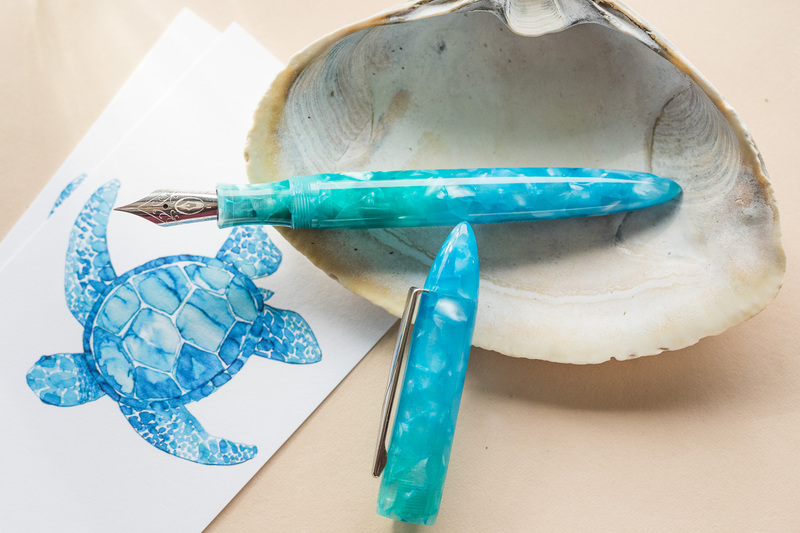 The depth and chatoyance of this material is captivating and every pen features its own unique arrangement and concentration of flakes, no two pens are exactly alike. 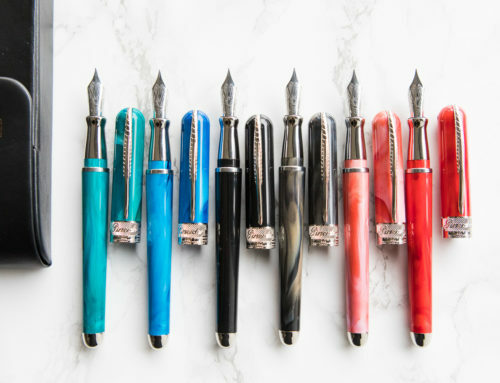 Each Nouveau Premiere is handcrafted by the skillful members of the Edison Pen Co. team in Ohio. 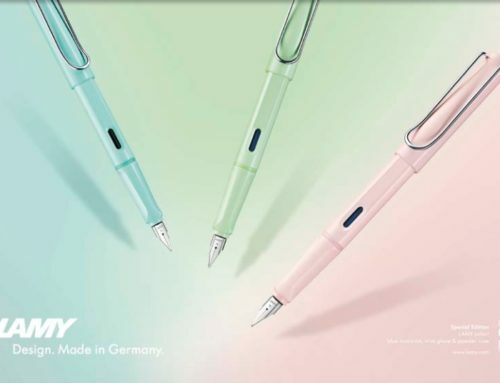 You can learn more about this great family-owned company in Brian’s interview with Brian Gray of Edison Pen Co. here. 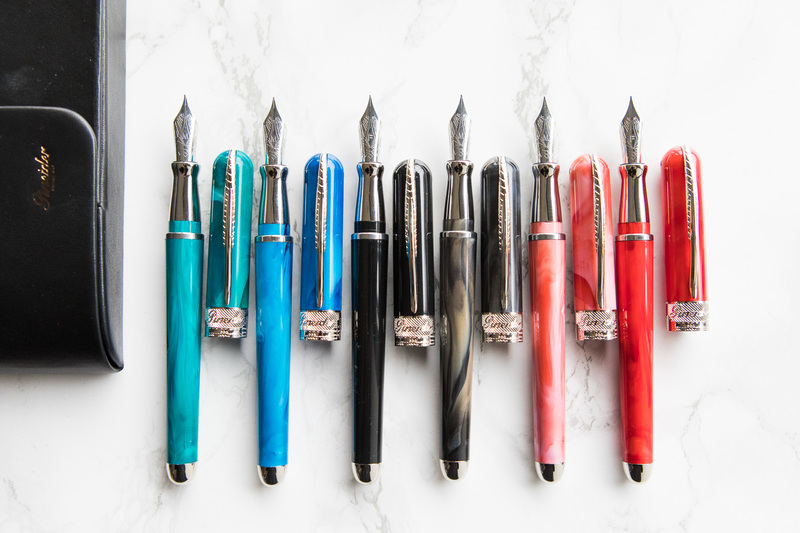 The Nouveau Premiere pens are handcrafted from resin, making them ideal for an eyedropper conversion. This Quick Tip video will show you step by step how to complete the eyedropper conversion process. 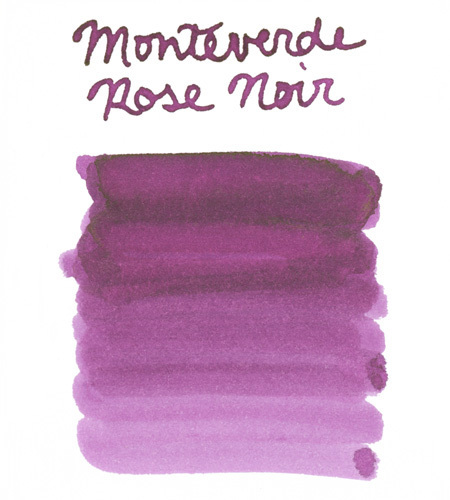 The Nouveau Premiere can hold a whopping 4.15ml of ink when eyedropper converted. Don’t know much about eyedropper pens? 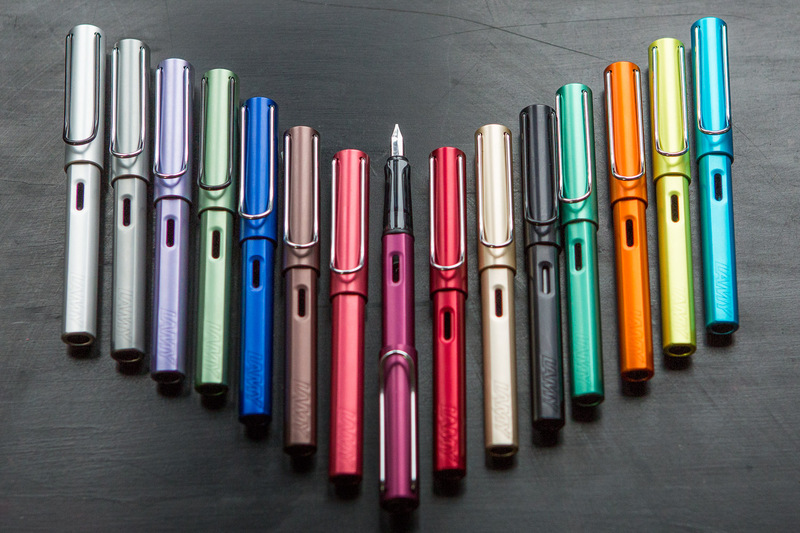 Check out our Fountain Pen 101 video on them! 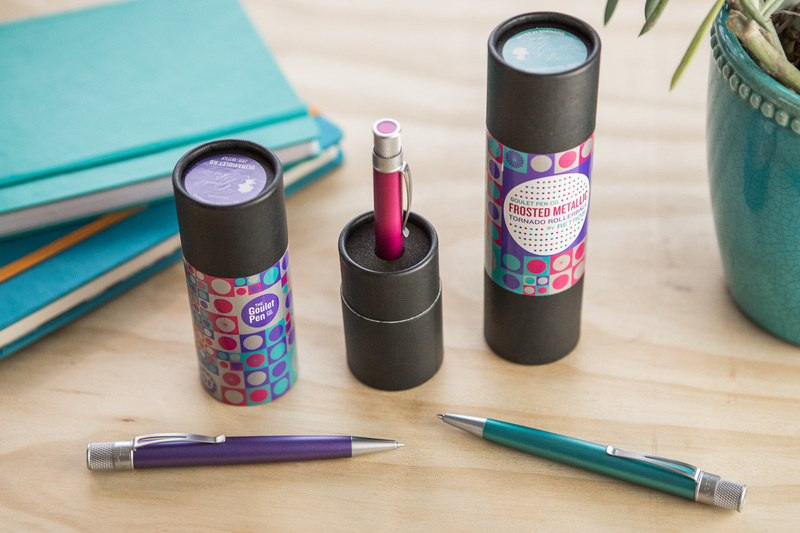 The included Standard International converter also offers a 1.21ml capacity if you’re not ready to dive into eyedropper pens. 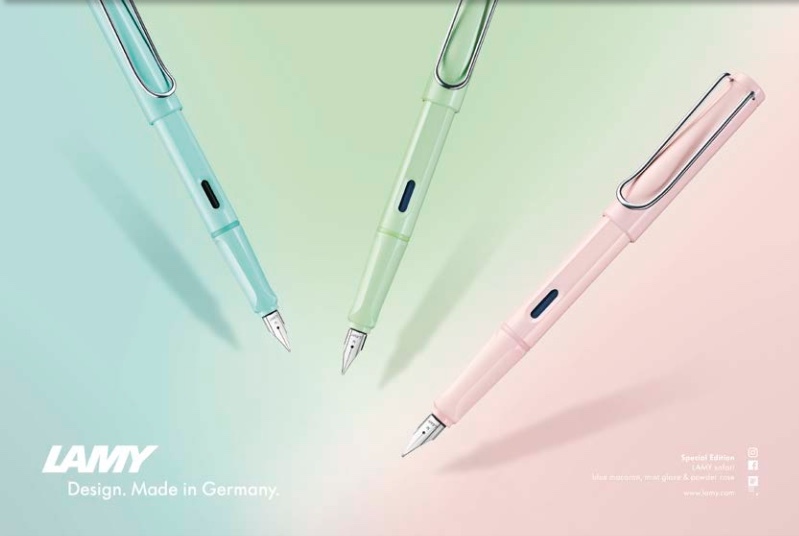 Additionally, this pen accepts standard international cartridges. 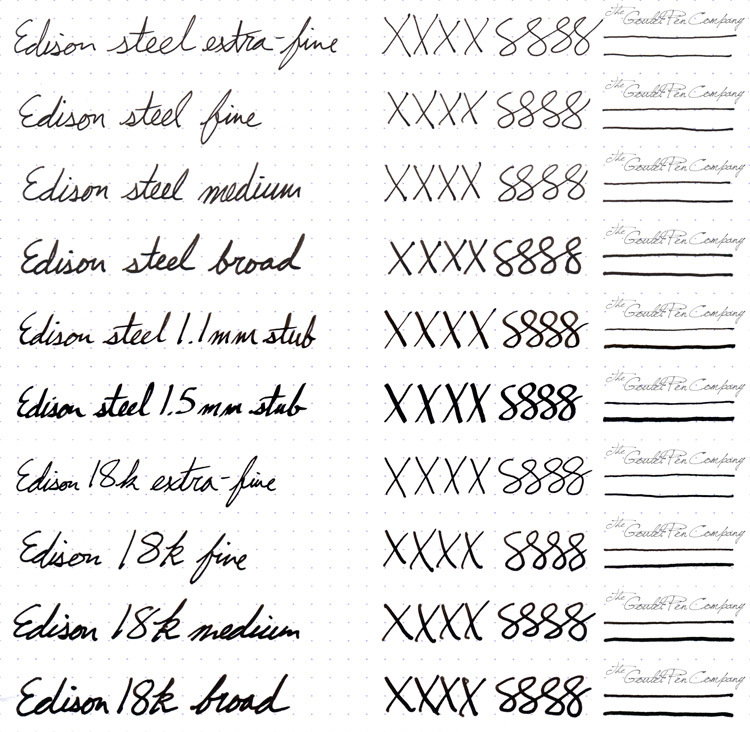 The Edison Nouveau Premiere uses a #6 nib and you can pick it up with an Extra Fine, Fine, Medium, Broad, or 1.1mm Stub nib size. The smooth writing Edison steel replacement nibs are also available in EF, F, M, B, 1.1mm, and 1.5mm Stub sizes for $25. You can also upgrade to an 18kt gold nib for an additional $150. Not sure how to go about swapping nibs? Check out Brian’s video! 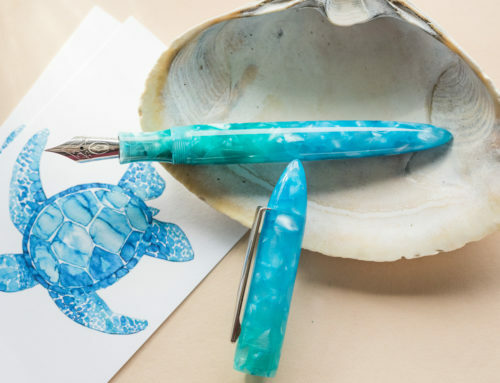 Looking for an ink to coordinate with this stunning pen? 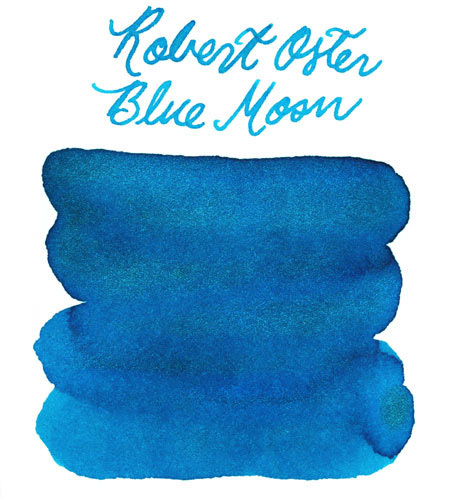 Give these three lovely inks a try! 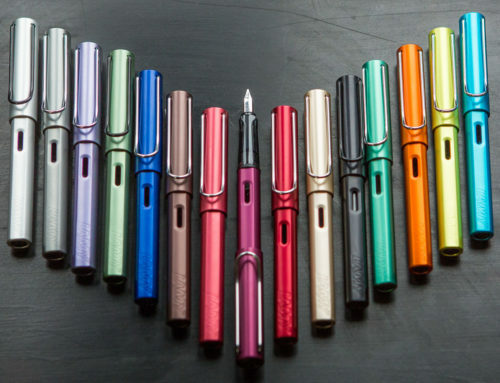 You can find the Edison Nouveau Premiere Galaxia exclusively at GouletPens.com for $169 for a limited time only. 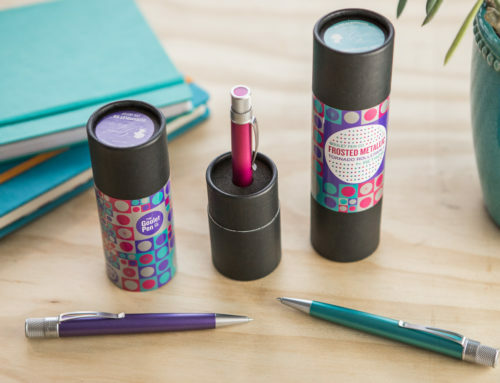 To learn more about the pen and find technical specs and details, head over to the product page! 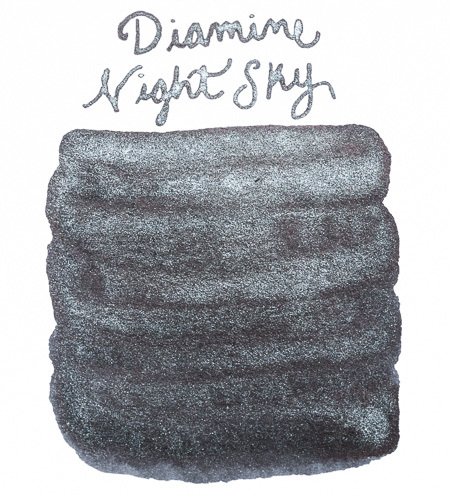 What is your favorite celestial or space themed pen or ink?